The Rio Grande Rift project continues to be the main focus of the PBO Campaign support group, with four more monuments having been installed in early December. 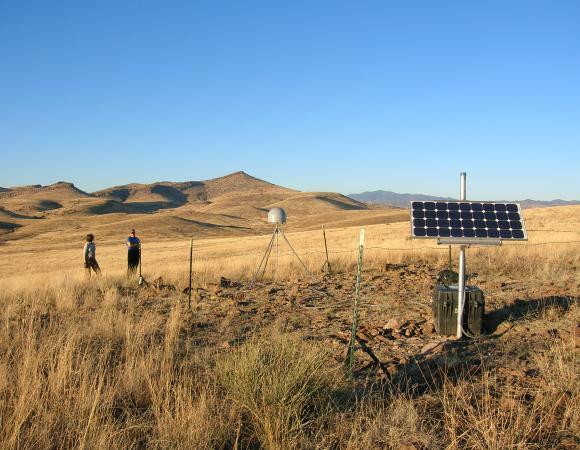 The network will consist of 25 semi-permanent GPS stations in Colorado and New Mexico, of which 21 have now been completed. Project PI’s Anne Sheehan and Steve Nerem of the University of Colorado, Tony Lowry of Utah State, and Mousumi Roy of the University of New Mexico will analyze data acquired by these stations over the next five years to determine velocity and tectonic style associated with the Rift. UNAVCO Facility staff designed special enclosures and systems to provide support for semi-permanent installations such as as RG07, a shallow-drilled braced monument completed on Dec. 1 near Las Cruces New Mexico. 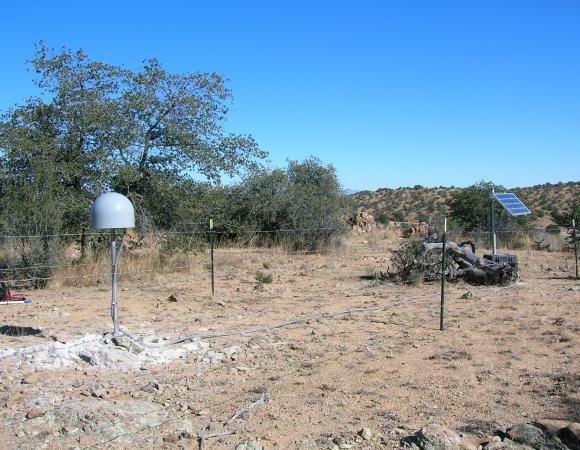 The systems are comparable to those of permanent PBO stations but portable to allow removal and reuse by future EarthScope projects. 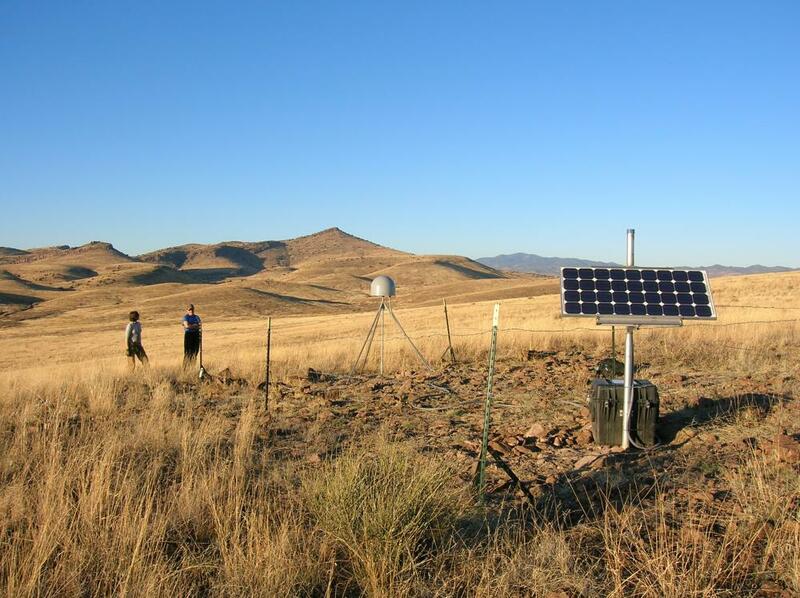 The Rio Grande project plan calls for station siting, recon, and permitting to be done by the PI institutions with SDBM installations to be done by UNAVCO Facility staff. 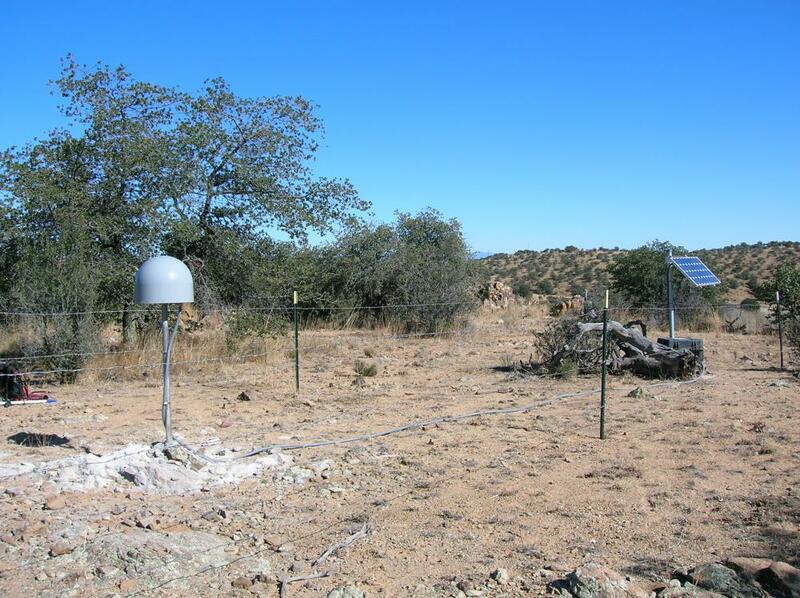 Locations identified by CU and UNM were not always suitable for full SDBM installations due to access, so single-mast type monuments which require less hardware to be carried were substituted at 8 of the locations. Data have been manually downloaded from 9 of the stations while one has permanent telemetry installed, and data quality have been excellent. Network status is shown in the figure at right, with red indicating operational stations, orange permitted and ready to install, and green still in the reconnaissance stage. Other field projects currently underway utilizing the PBO Campaign Equipment pool include the EarthScope-funded 2006 Cascadia ETS experiment (Rick Bennett, U. of Arizona PI) which has deployed 6 systems on the Olympic Peninsula and the Hawaii Earthquake Rapid Response, which has 5 systems deployed near the epicenter of the October 15 M6.7 event on the big island (Ben Brooks and James Foster, U. of Hawaii, PI’s).